In 2017 Aries will be overflowing with competitiveness. Fire is the key element of this headstrong animal, so flames are blazing slowly but ceaselessly somewhere deep inside him or her. According to the horoscope, you will experience the rise of fresh energy (“the high heat”). A bird can lay precious and vital eggs, and you can expect a chance to create something new and wonderful this year. Would you like to start a healthy food shop? Organize a rock music festival? Succeed in a design competition? Or perhaps write a manual for young scouts? All this is possible and achievable more easily than ever! The only limit Aries may encounter in 2017 is certain unwillingness of the authorities and the distrust of some relatives. You will surely get the necessary papers and stamps but it is highly recommended you stay calm and hold back if you face any problems. Scolding a helpless official will just make the situation worse because officials are the greatest victims of the bureaucratic machinery themselves. 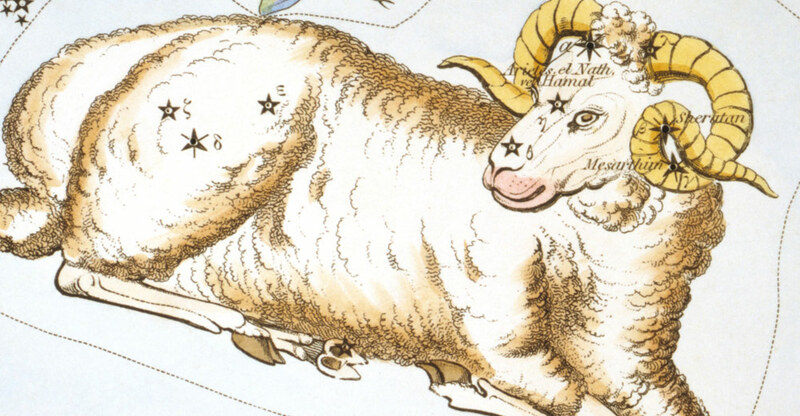 Aries will compensate for the lack of confidence and doubts of the loved ones by using all possible inner strength. Well, you know the saying: “If you want a thing well done, do it yourself,”… so in many ways you will have to rely solely on yourself. Aries, thanks to the 2017 you will realize that you are gaining very valuable experience. In addition, you will get all sorts of secrets that accompany you now. Sincerity is a wonderful and important virtue but you must use it judiciously. We usually do not tell the naked truth about delicate issues to young children (how their life path started etc.). And likewise the horoscope advises you to “dose” your truthfulness to adults according to what they can bear. Silence will sometimes be better than a razor-sharp tongue. Aries, according to the horoscope, for your love life it is important to be able to overcome the fear and contempt from those who are different. Opposites attract each other like different poles of a magnet do. And you should be prepared for the possibility that you could easily succumb to the charms of a prospective partner. If you are polite, you may be surprisingly impressed in 2017 by someone with coarser manners. If you are really smart, you can be unexpectedly mesmerized by some living simplicity wrapped in an attractive body. So the journey of your heart may be very surprising in the end. Think about the phrase “Cherchez la femme” (look for the woman). The 2017 horoscope for Aries points out that critical aspect to your success at work will be your attitude towards female colleagues, customers, superiors and subordinates. Aries, try to maintain fair, balanced and friendly relations (BTW sincere flattery can never do any harm – on the contrary). Two hands (you and the other woman) can achieve much more if they join forces than two beasts fighting over a prey. In other words, although the competition is motivating, the cooperation is even more powerful tool for the success.